There is a new TLD, now in sunrise: .tel (telnic.org). Landrush will begin on February 3, 2009, and last until March 23, 2009. General availability: March 24, 2009, and beyond. .Tel will be reserved for mobile devices. One will not be able to build websites on this TLD or place AdSense or other PPC ads on it; users will be limited to a specific dashboard template, very limited text, and no uploading of images. Its main advantage: fast loading on mobile devices. Think of a .tel site as an electronic business card and/or business directory in a niche market, straight from your cellphone. Telnic, the company responsible for administering this TLD, is offering a "test drive" in beta for potential users (available to anyone for a free trial on a subdomain of vip.tel: a free temporary page, which will disappear, I presume, right around landrush). The dashboard is very easy and intuitive, although it's a bit slow and doesn't recognize some symbols, like apostrophes ('), which is annoying to a person interested in correct usage, so "Ms Domainer's Feeds" becomes "Ms Domainers Feeds." Being that this is only a temporary page, I have added only two website links and two sets of keywords. Theoretically, the keywords will help search engines find the site and add it to the targeted rankings--that's what Telnic claims, anyway. You could create a directory of websites that YOU choose. Thus, if you owned the generic Lawyers.tel, you could lease directory space to lawyers, info that you input yourself (although check TOS before doing this; I already know that you cannot lease sub-domains--my test drive site is a sub-domain--to third parties, but you can assign free sub-domains to family members and/or business partners). 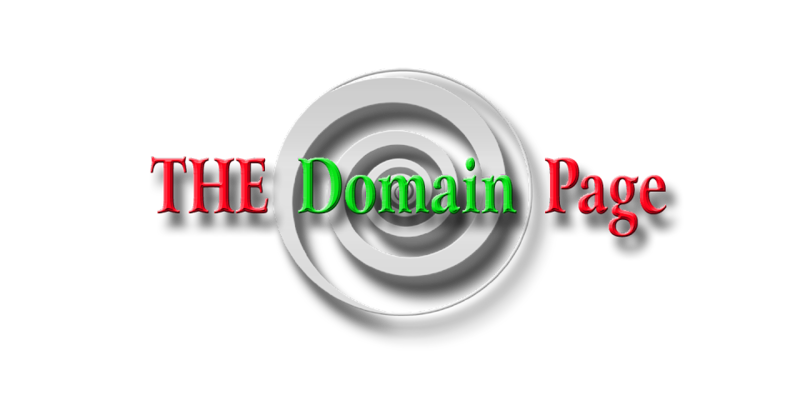 The profit factor regarding reselling .tel domains will depend how the major search engines rank yet another TLD. Will Google, MSN, and Yahoo rank these sites fairly? If the search comes directly from a phone or other mobile device, will the search engines rank the site accordingly? This is currently unknown. Phone apps could prove to be powerful; however, I'm not sure how that will work. My site literally took me minutes to set up, but I don't know if there will be glitches once the TLD hits the registrars or if cost for hosting will be extra. I appreciate being able to test drive the TLD, a rarity in this biz. On the other hand, Landrush domains, offered on a first-come, first-served basis, are a bit pricy: $125.00 per year, and there is a three-year minimum, so if you decide to apply, make sure that you sign up for a true premium (preferably one word), not something silly like DomainDonkeyAss.tel or CabanaMama.tel. For uncommon names and terms, I suggest waiting until March 24 (general registration), but if you are seeking a sought-after generic, apply ASAP (some registrars are accepting pre-registrations). Even then, expect to be disappointed. By the way, telnic.org shows a scrolling list of trademarks granted during sunrise, and it seems they are taking a liberal view of what constitutes a trademark. For example, Joker.tel has already been awarded to someone; I would have never thought that "joker" was a trademarked name, although if the company sells computers or cars under a joker trademark, it would be trademark-able. Telnic uses the .org TLD; their instructions are image and text heavy, and it is obvious that .tel will never offer full web page functionality but just a directory/electronic business card. Positive: when users click on a .tel link, they can be assured that their phone won't crash from overload. (1) All the sites will look alike and won't (to my knowledge) even offer a small space for a simple image (although this could change as phone apps improve). (2) It appears that .tel does not offer a .tel email address. I did not see this capability on my dashboard. But it would be an awesome app, wouldn't it? Applications: Business and personal. I suspect that during sunrise businesses are snapping up their trademarks in .tel to avoid having to go through the UDRP process--the .me release was a disaster for TM holders, such as Porsche and Nissan. I predict that the best applications will be found in generic words and personal names, both first and surnames. Overall, I believe that .tel could prove to be a popular and much used TLD; the Telnic administrator seems to be doing all the right things in launching this TLD, avoiding holding back pages and pages of generics for auction and being up-front with potential consumers. Thanks for your interest and positive thoughts. Just a note - .tel does support MX records for email re-direct. Whilst you can't do this in the management console developed, your registrar will be able to help you set one up. The other thing - do try looking at your domain trhough a mobile browser, then check your next bill: then you'll see why we're limiting the ability to upload a picture, as the amount of data to download is less than 1K - meaning a phone company won't charge you for it! Thanks again, and we're glad you've enjoyed the beta experience. Thank you for clearing up the email question; I figured that the beta version would be more limited than this trial page. I like the simple clean lines of the page and the simplicity it offers for cell phone apps.